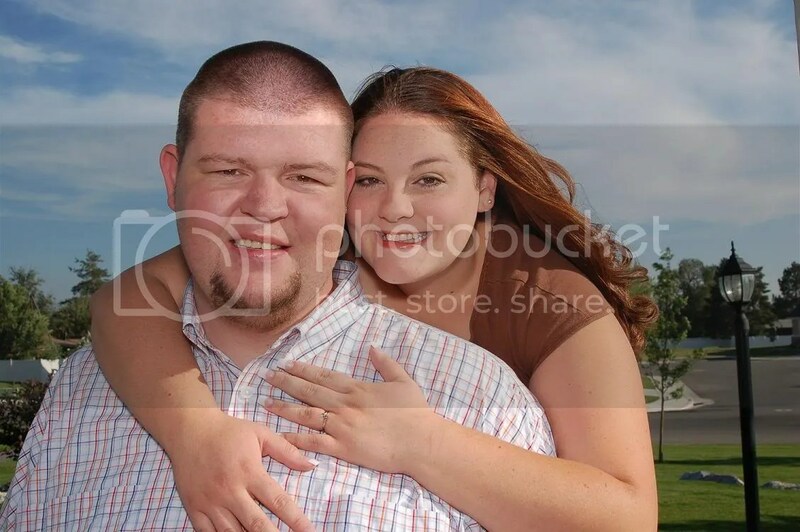 This is one of our engagment pics. I am 22 I live in Orem with my husband Andy. We have been married for just about 20ish months. We have been together for almost 3 years (3 years on 10/12/08). We are hoping to have a baby with in the next year or so. I have 4 sisters and 1 brother (he’s the youngest). We rang from 25-13… 3 of us are married, one has a baby. Alot of my family lives in NC, but my mom and 2 sister live here. Andy’s family mostly all live in Utah. So yea that is just a little bit about us!!! I love your guys picture here…what a lovely couple and good luck for your baby plan. Balsam Hill Christmas Tree Company would like give you a free holiday e-card to post on your site. This e-card can be customized and also provides the readers of your blog a discount on our artificial Christmas trees, wreaths, and garlands. You can view the e-card here: http://christmastrees.balsamhill.com/ecard/widget. Just click the “send to a friend” link to customize the card.